Jonathan Yanez and Ceara O’Donnell received Runners of the Week honors last week. 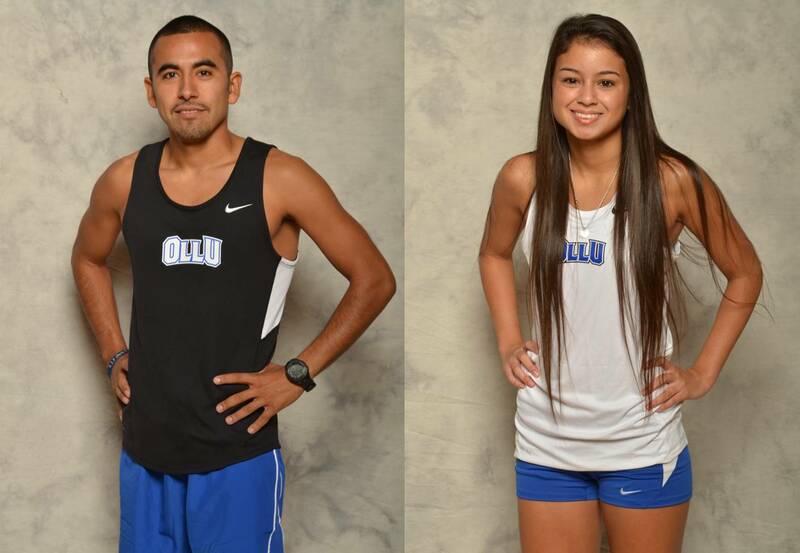 Jonathan Yanez raced to the Red River Athletic Conference Men’s Cross Country Runner of the Week award for Aug. 26-Sept. 1, and OLLU’s Ceara O’Donnell was named the RRAC Women’s Runner of the Week for the same dates. Yanez, a freshman from Bay City, Texas, broke the school record in a 6,000-meter race in his first OLLU meet, the Alamo City Opener. He finished fifth in a field of 20 runners with a time of 20:11. O’Donnell, a freshman from Corpus Christi, Texas, was also competing in her first collegiate race and finished 10th in the women’s event at the Alamo City Opener. She ran the 4,000 meters in a time of 15:54 against a field of 22 runners from NCAA schools. Read more online.